Happy Kitchen Sink Stamps Monday! 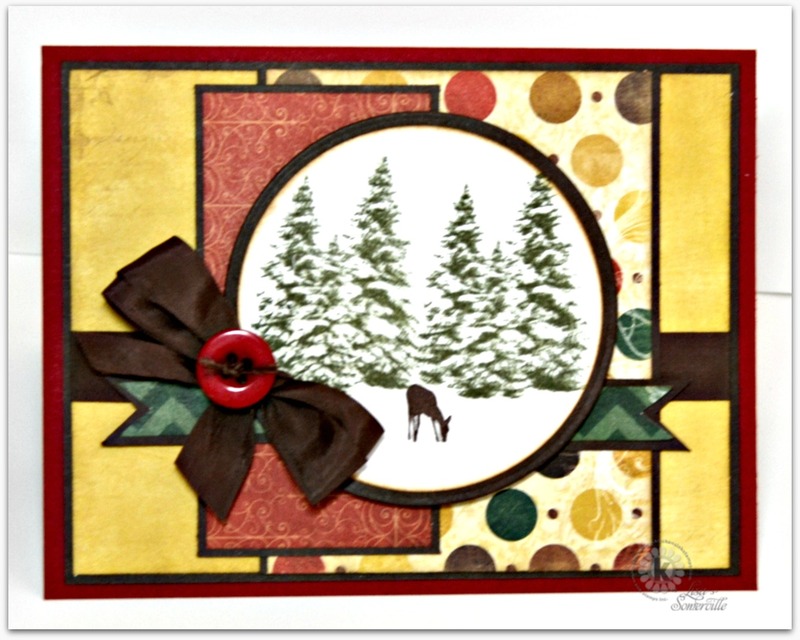 Inspired by this weeks Mojo Monday Sketch Challenge, I used Bo Bunny pattern paper along with Kitchen Sink Stamps Multi Step Snowy Pines and Multi Step Tree Friends stamp sets to create my card. I'm really not ready to think about winter...and Christmas...but I know it's better to plan sooner than later! Lovely use of the pines; you do such great work with the KSS images. Another Christmas card done! Great papers n stamps for that layout you used.